Explore the beautiful and complex world of art! Too often, textbooks obscure the beauty and wonder of fine art with tedious discourse that even Leonardo da Vinci would oppose. 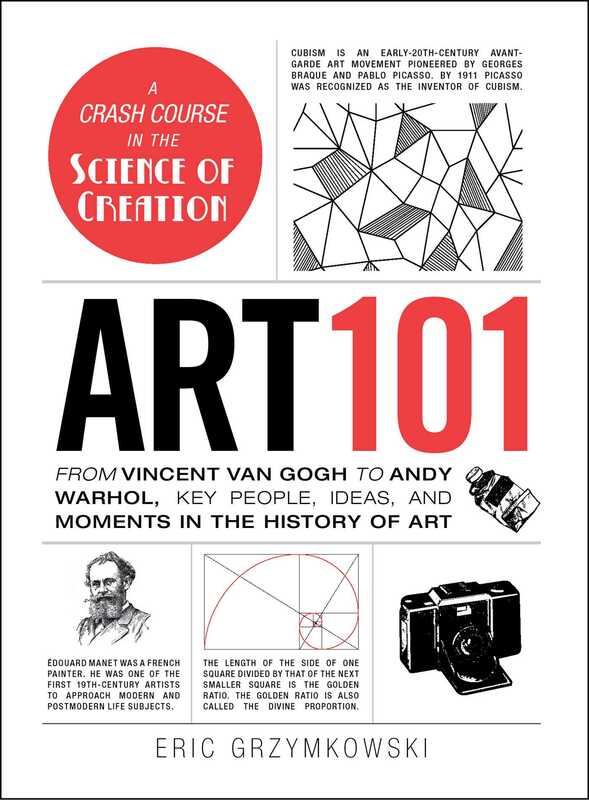 Art 101 cuts out the boring details and lengthy explanations, and instead, gives you a lesson in artistic expression that keeps you engaged as you discover the world's greatest artists and their masterpieces. From color theory and Claude Monet to Jackson Pollock and Cubism, this primer is packed with hundreds of entertaining tidbits and works of art that you won't be able to get anywhere else. So whether you're looking to master classic painting techniques, or just want to learn more about popular styles of art, Art 101 has all the answers--even the ones you didn't know you were looking for.